Can I Receive Compensation in Maryland for Pre-Impact Fright in Auto Accidents? Common sense would lead us to believe that if someone knew they were about to be in a car crash that the person would be filled with anxiety, fear, and panic. 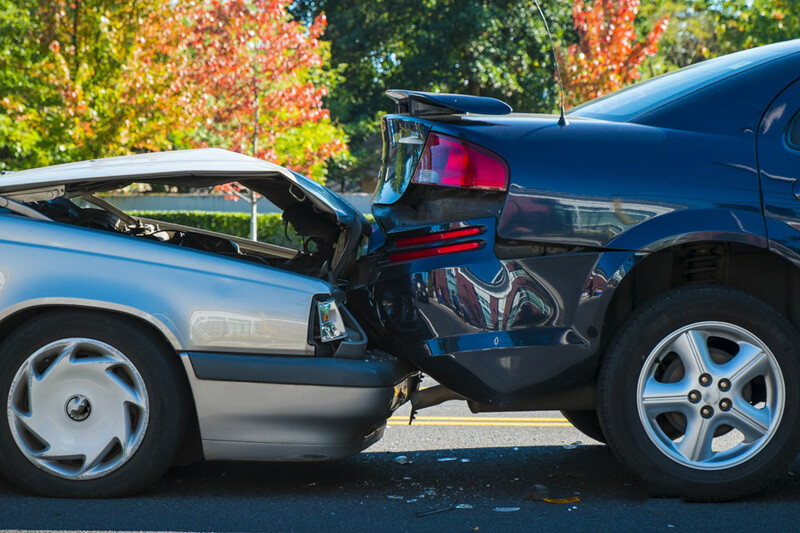 Most drivers understand that if they are in a collision, there is the possibility they could suffer traumatic injuries, intense pain, and even death. Therefore, if you see a vehicle heading toward you and you anticipate a crash, it is reasonable to assume that you suffered pre-impact fright. Maryland allows accident victims, including victims who died as a result of their injuries, to recover compensation for pre-impact fright. However, it can be difficult to prove the extent and level of fright, especially in wrongful death cases. Hiring a legal team with experience handling these types of claims is strongly recommended. The Pinder Plotkin Legal Team understands the challenges of filing a pre-impact fright claim, but we never back down from a challenge. We understand the law governing these claims, and we are ready to fight for your legal rights. Jason A. Plotkin, Esq. has experienced pre-impact freight firsthand. Watch his story here. Our Parkville personal injury lawyers can help you file a claim to recover compensation for damages, including pre-impact fright. As discussed above, pre-impact fright is the fear and anxiety you experience when you see what ultimately becomes the cause of your pain or death. The Maryland Court of Appeals allowed for compensation of pre-impact fright in the case of Beynon vs. Montgomery Cablevision. The court affirmed in its decision that pre-impact fright was compensable in a case in which the victim died in the collision. In the Beynon case, a driver collided with the rear of a truck resulting in the driver’s death. The plaintiff argued that the truck did not have sufficient lighting making it difficult for other drivers to see the rear of the truck. The lack of lighting caused the driver to collide with the rear of the truck. Even though the driver died upon impact, 71 feet of skid marks were discovered at the accident scene. The trial jury concluded that the driver must have experienced pre-impact fright and awarded $1,000,000 as compensation for the driver’s pre-impact fright (applicable law at the time of the verdict reduced the amount to $350,000). The Maryland Court of Appeals held that in a survival action, the decedent’s estate could recover compensation for mental anguish and emotional distress when the decedent experienced “great fear and apprehension of imminent death before the fatal physical impact.” The trial jury’s award was upheld by the court paving the way for pre-impact fright claims in other wrongful death lawsuits involving auto accidents. Non-economic damages in a car accident claim generally include the victim’s physical pain, emotional suffering, mental anguish, and loss of enjoyment of life. Non-economic damages may also include scarring, disfigurement, and permanent impairment. Pre-impact fright may also be included as a non-economic damage. Proving a pre-impact fright claim can be more difficult. Non-economic damages cannot be calculated by using a mathematical equation or a calculator. Financial damages are based on actual financial losses such as medical costs, lost income, and property damage. However, non-economic damages cannot be calculated with any logical certainty because a victim cannot offer any “proof” of the value of the suffering. Proving pre-impact fright involves proving that the victim realized and appreciated that an impact was imminent and the victim was in danger. A victim can testify that he or she was scared immediately before impact, but is there proof that the victim “knew” the impact was imminent. For example, if a vehicle is rear-ended without any warning (no horns, screeching tires, etc. ), did the driver know the impact was about to occur? The defense argues that if you never realized an accident was about to occur, you cannot experience pre-impact fright. In a wrongful death action, it can be even more difficult to prove pre-impact fright without a victim’s testimony. However, as in the case of Beynon, common sense dictates that the driver knew an impact was imminent because of the 71 feet of skid marks evidencing he tried to stop. Pre-impact fright can be a tricky and difficult case, but it is possible to recover compensation for this type of non-economic damage. Choosing an experienced Parkville injury attorney is the first step in holding a party accountable for negligent acts that led to your injury or the death of a loved one. Our Parkville injury attorneys believe that accident victims and their families deserve full compensation of all damages, including pre-impact fright. We aggressively pursue injury claims to protect your legal rights. Contact Pinder Plotkin LLC by calling 410-661-9440 to schedule your free consultation with a Parkville injury attorney.